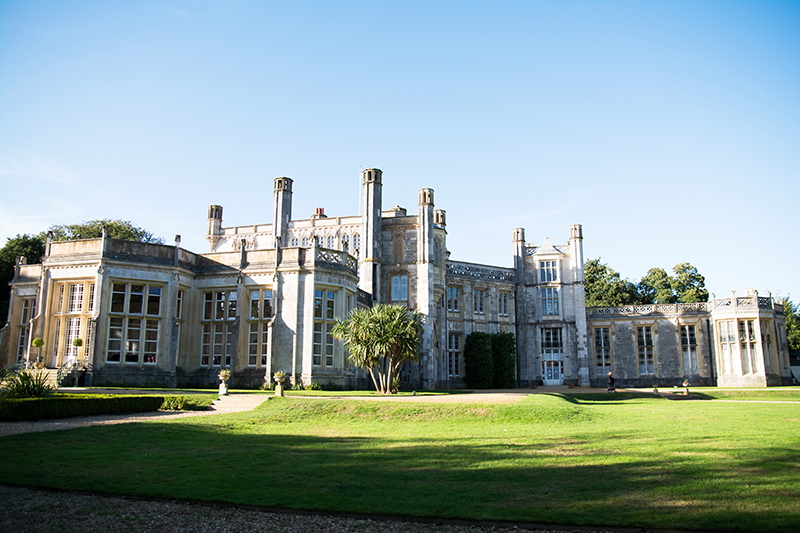 This wedding session took place in a fabulous location known for its setting and beautiful gardens; Highcliffe Castle in Christchurch. 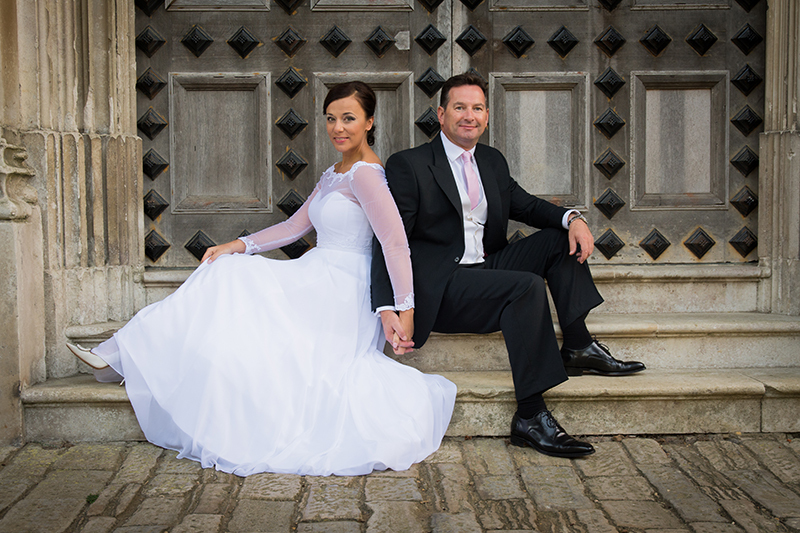 Mark and Magda got married in Poland but because they live in Dorset they wanted to have another photography session in their wedding outfits here aswell. 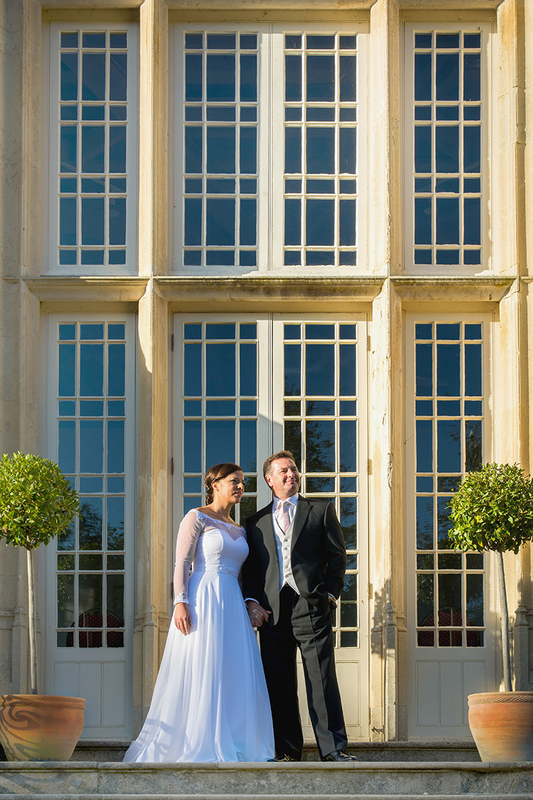 This wasn’t a typical wedding session – it was more like an after-wedding session. 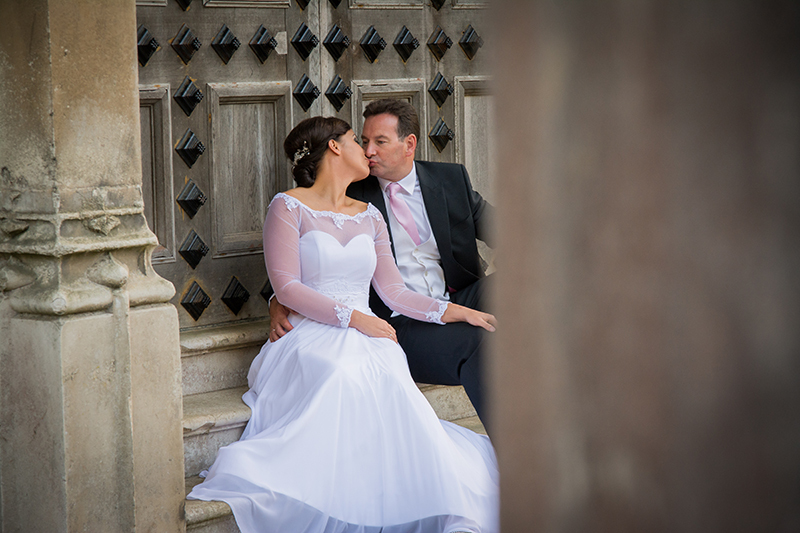 This session was also another reason for Magda to put on again her elegant gown, which she – the Bride – and her bridesmaids were looking forward to seeing again. 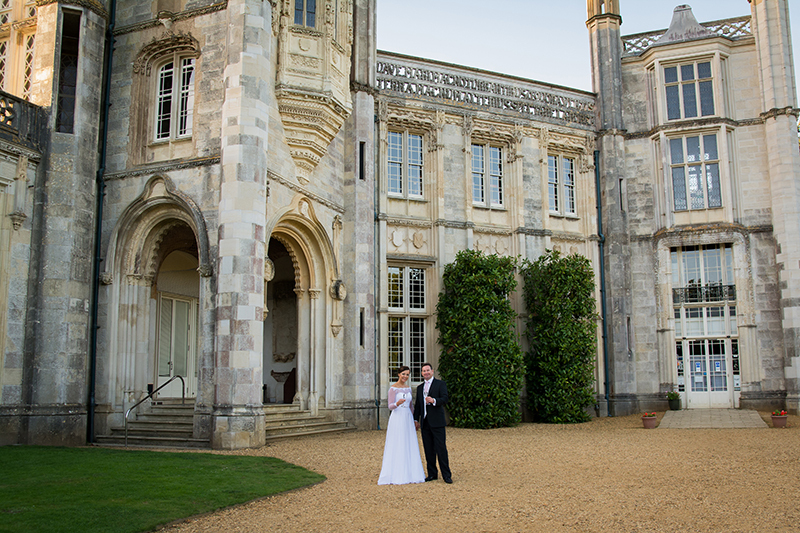 As a place, they suggested Highcliffe Castle and I was happy to capture them on the grounds of this beautiful historical building. As I have photographed there before, I knew that with good weather the photographs would be great! I very often mention the weather in my posts because it’s such an important factor when we schedule a session, especially on location. 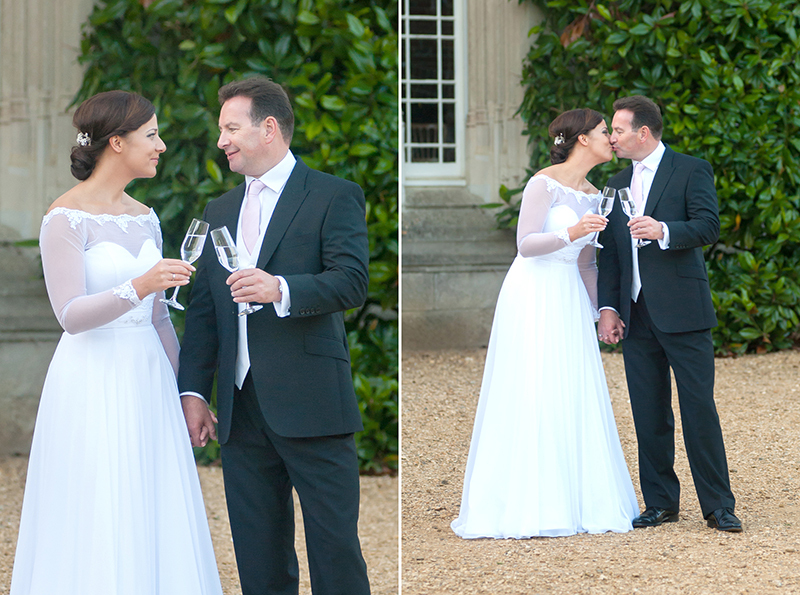 We were lucky and with a bit of a sunset, we had a good time walking around the grounds and taking photographs. 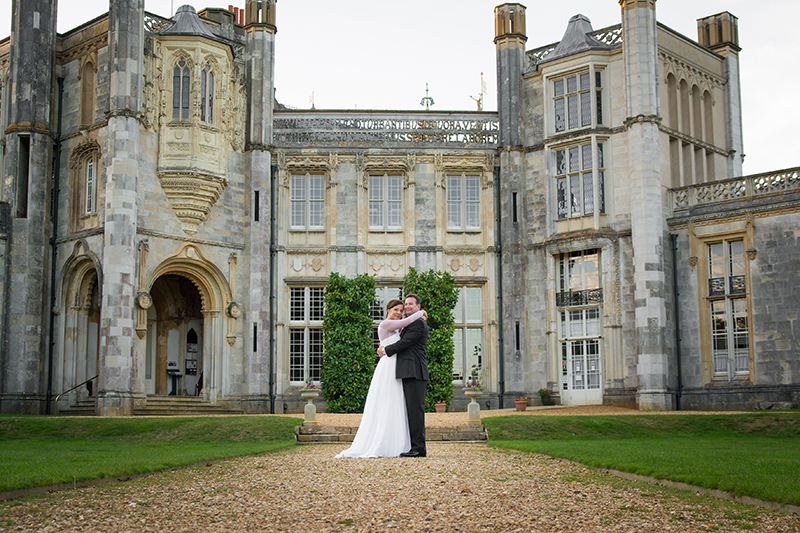 Are you planning a wedding at Highcliffe Castle? 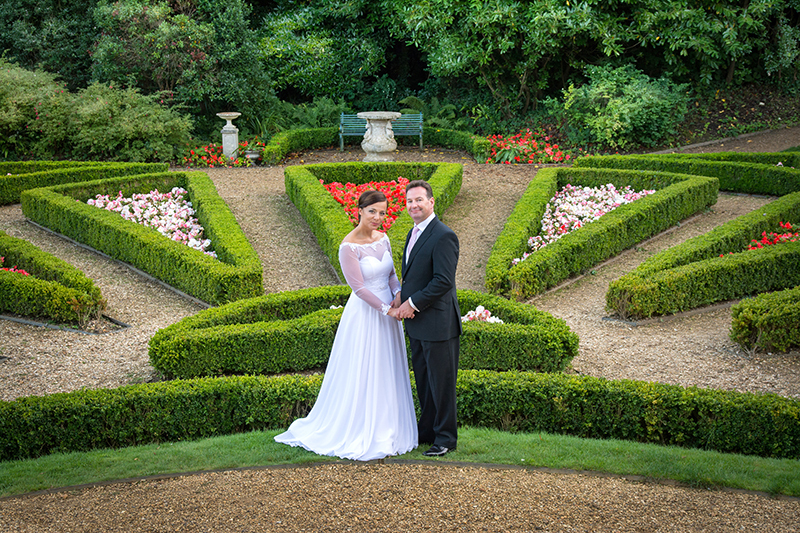 Silesia Photography offers wedding photography in Bournemouth, Poole and surrounding areas of Dorset and Hampshire.